Weary well worn wood. Tired old looking brittle white-washed paint. 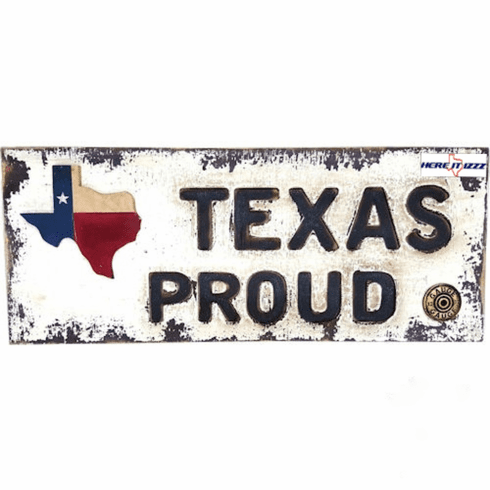 These are all elements that make up the character of this Texas Proud wall sign. Measuring nearly two feet wide will clearly be able to display your State pride.